The Museum of Arts and Design will present LOOT 2012: MAD about Jewelry, its juried selling exhibition of artist-made jewelry for four days this October. 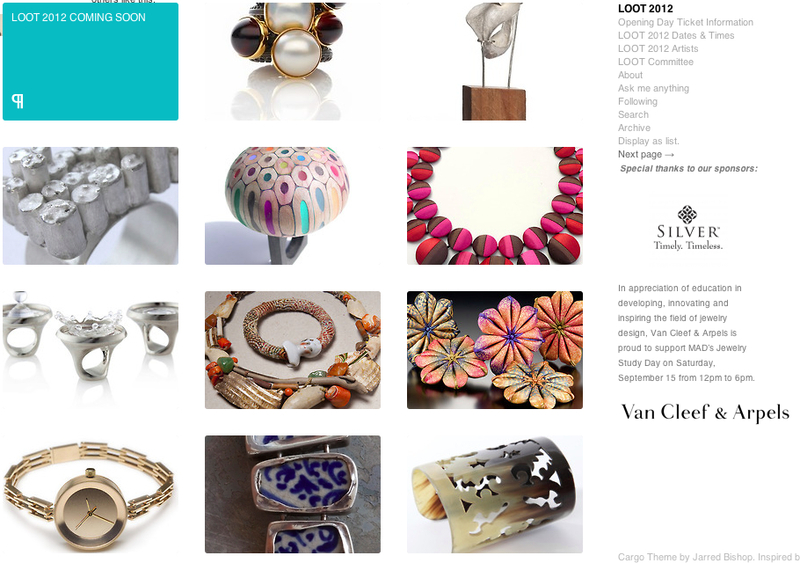 Now in its 12th year, LOOT: MAD about Jewelry has become known as the ultimate pop-up shop for contemporary art and studio jewelry by both artists and collectors alike; it affords the public the rare opportunity to acquire pieces directly from some of the most innovative jewelry artists in the world. This year, the creations of 50 emerging and acclaimed jewelry artists will be on sale.